Our mission is to transform lives through dance and story. In supporting the artistic work of Maria Genné, we share her vision of intergenerational, intercultural participatory arts programs, and promote their power to nurture, heal, and create community among all ages and abilities. 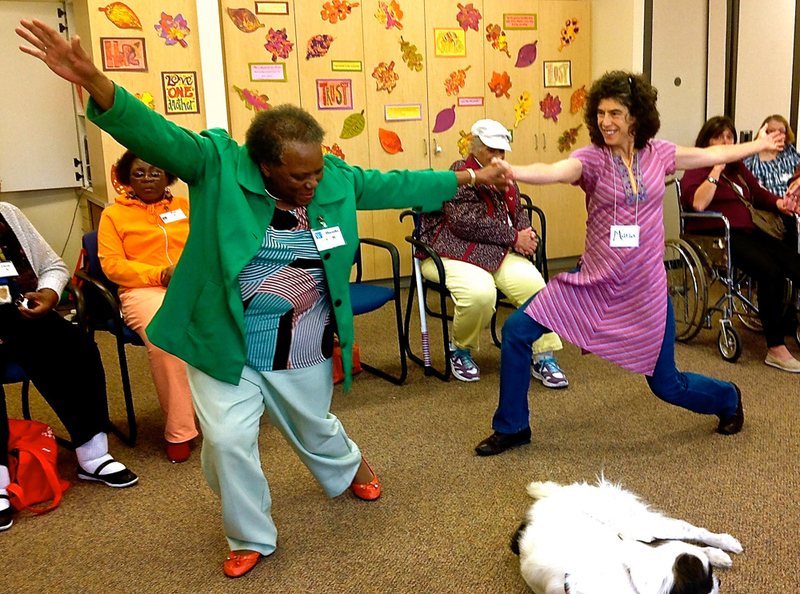 We are part of the emerging national fields of creative arts & aging and arts & health, working alongside professionals in the arts, health care, social services and community development. We seek to raise awareness of the importance of creative involvement across the lifespan. 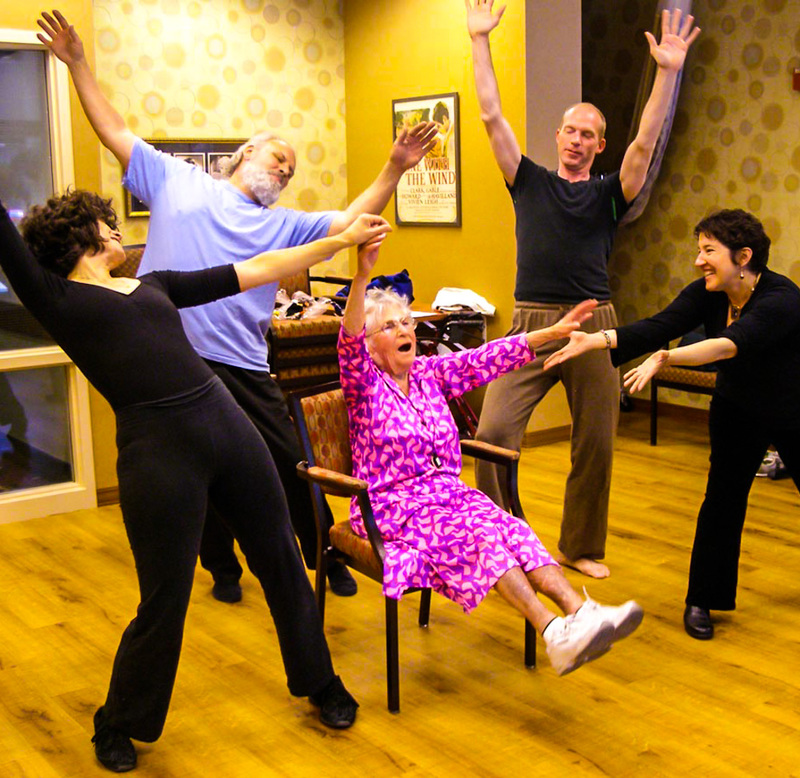 Our culture is witnessing a paradigm shift in attitudes related to aging. We are moving away from a model that assumes the inevitability of declining health and isolation as we age, toward a strengths-based, research-based approach that focuses on potential, vital engagement, health maintenance and prevention, and continued connections to community. Our work draws upon many forms of modern dance, movement improvisation, folk dance, music, song, theater, poetry and oral history traditions from around the world. Artistic Director Maria Genné is recognized for her ability to highlight the beauty of the human experience through movement and story, skillfully weaving together the gifts of each performer. Kairos Alive! Performance Troupe™ is the only intergenerational modern dance theater company in Minnesota, and one of only a handful in the U.S. Most importantly, we are a community-based arts and arts education organization that believes all are welcome in the community circle. Our intergenerational, intercultural performances – which we bring to schools, nursing homes, museums, parks, community centers and formal performance spaces – deliver a vision of what community can be: all ages, all backgrounds, all abilities — dancing together.